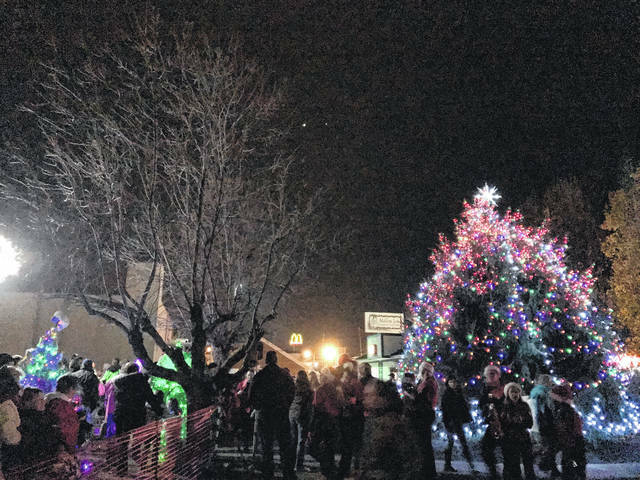 POINT PLEASANT — Christmas lights have been popping up throughout the city, residents have begun their holiday shopping, and Point Pleasant’s official kick-off to Christmas is steadily approaching. An evening of holiday festivities will be held on Friday, Nov. 30 starting with the Christmas Parade at 6 p.m. Line up for the parade is at 5 p.m. at the former Central Elementary School. Royalty from the Mothman Festival will be collecting bags of dog and cat food for the Mason County Animal Shelter from parade participants who wish to contribute. Following the parade, the fifth annual tree lighting ceremony will commence at Gunn Park located on Fourth Street. Mayor Brian Billings will welcome all of the guests who are participating in this year’s kick off to the Christmas season. Chairperson Marla Cottrill shared during the ceremony the Point Pleasant Junior/Senior High School will have performances by the PPJHS band and the PPJ/SHS choir. Pastor Jim Kelly from Trinity United Methodist Church will provide a message and Pastor Bobby Patterson will sing a Christmas tune. After, Billings will ask for the community to join together in a singing of a Christmas carol before he lights the tree. Along with the city’s Christmas tree coming to light, Gunn Park will also be shining brightly with themed trees for the Light of Christmas tree project. The PPHS Black Knight Marching Band will end the ceremony by performing various Christmas selections. City Clerk Amber Tatterson shared the city’s tree was donated by local resident Adam Wood this year. Billings commented Dave and Mike Rawson would have offered a tree for donation again this year should the city needed one.